This is an event where anyone of any skill level can show up and fly any type of kite. No registration is necessary. 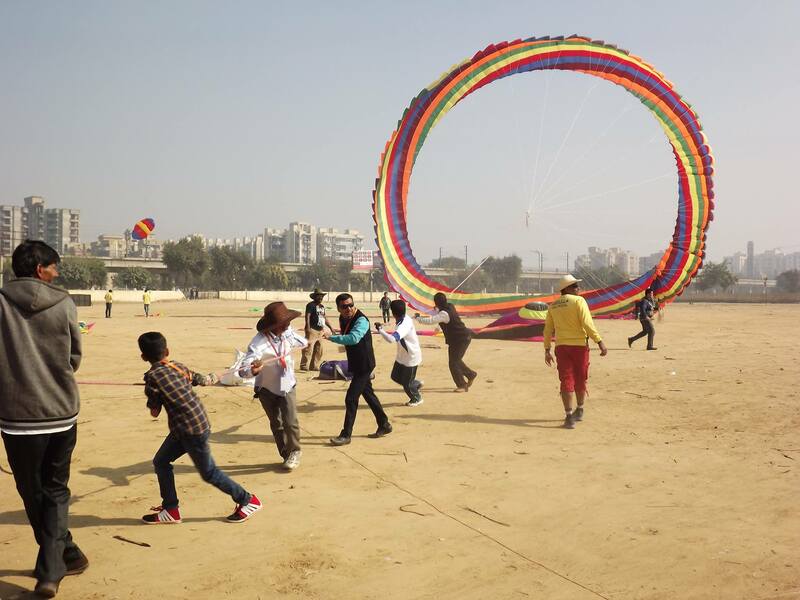 There may be one field for everyone or multiple fields designated for different types of kites. A few events reserve a field for certain guest Kitefliers. 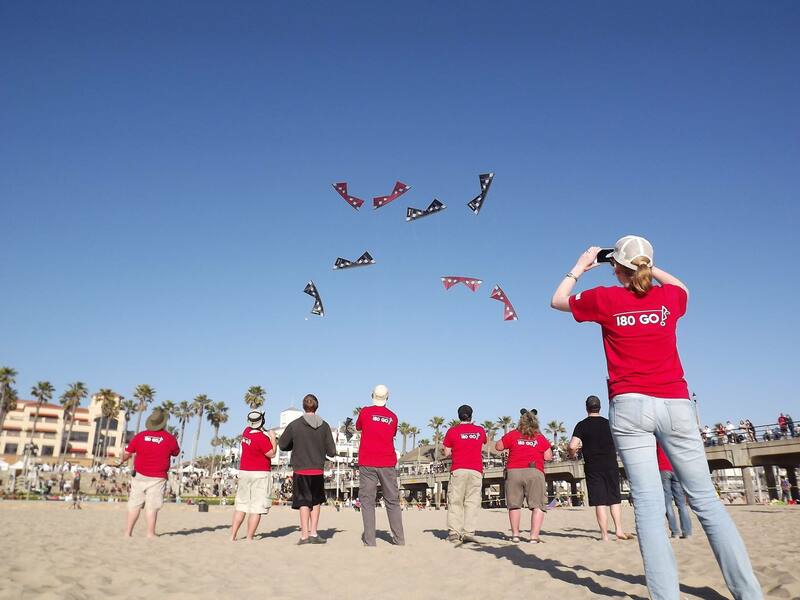 These events can be as simple as a “kite day” at your local school field where some will sell or give away kites. A workshop leader can facilitate the creation of hundreds of kites in a single day. 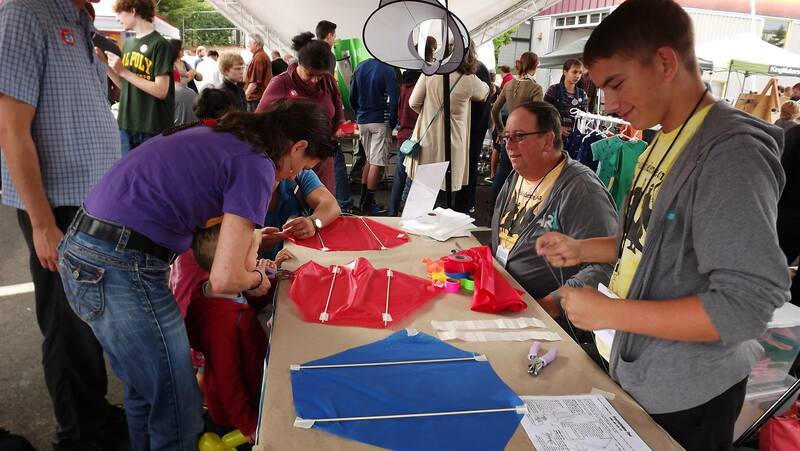 The kids always enjoy building, decorating, and flying kites they make. We once had 300 identical kites being flown at once on a large field. This is an event where experienced Kitefliers are invited to put on an ongoing performance. 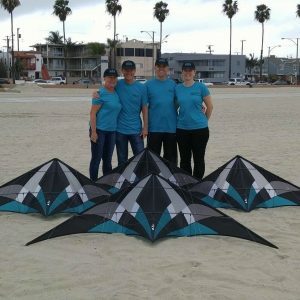 These may be single-line Kitefliers with huge kites, or sport kite fliers who synchronize the movements of their kites to music. The performers use their own cordoned-off area. 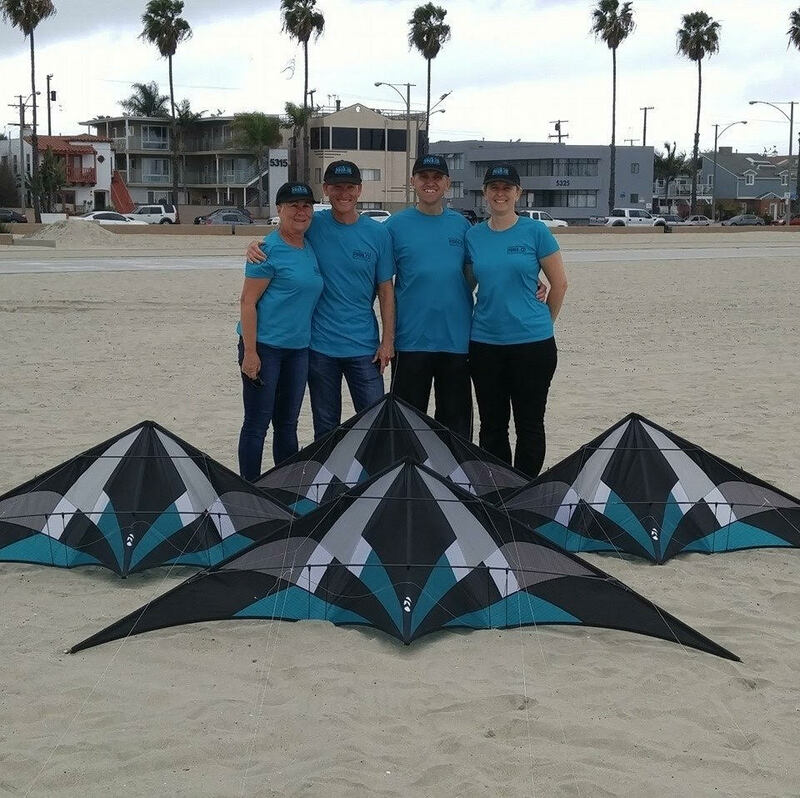 A team of quad-line kites can amaze an audience with precision and complicated maneuvers. 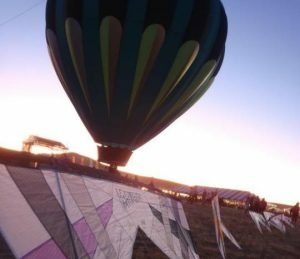 A kite event can be added to other events, such as hot air balloon festivals, holiday celebrations, car shows, craft shows, or food fairs. A good pairing is to join kites that fly in wind with hot air balloons that require nearly dead air. A festival on a soft sand beach is much different from a festival on green grass or a black parking lot. 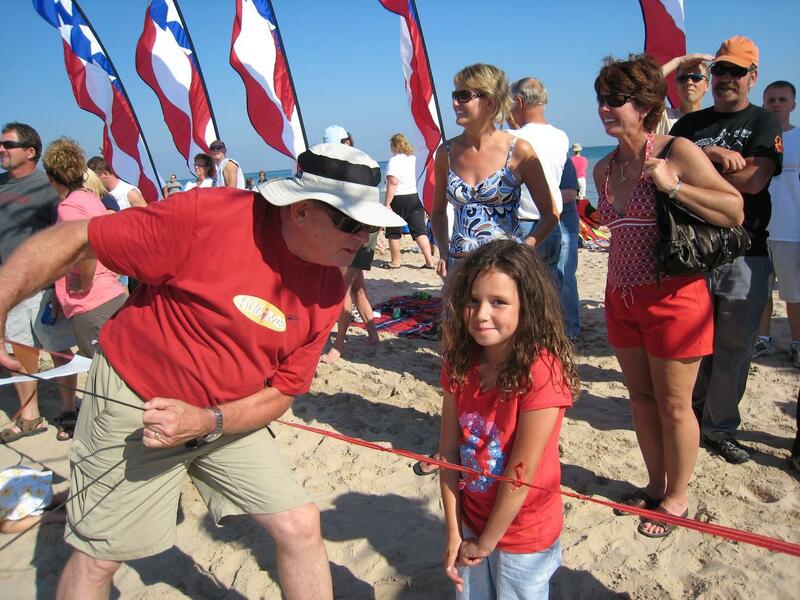 We use sand bags to anchor kites at the beach and have to pay attention to the direction and height of the tide. 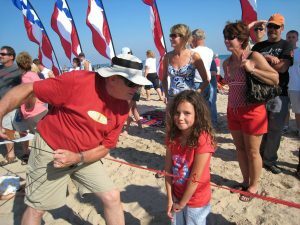 At the beach the wind direction could change to bring our kites over the water or over the parking lot. A festival with howling wind is much different from a festival without a breath of wind for two days. With high wind we have to pay much more attention to our kites and safety while low wind gives us more time to socialize and interact with the public. There are even festivals held indoors in a gymnasium and ultralightweight kites are flown to music as a demonstration, performance, or competition. 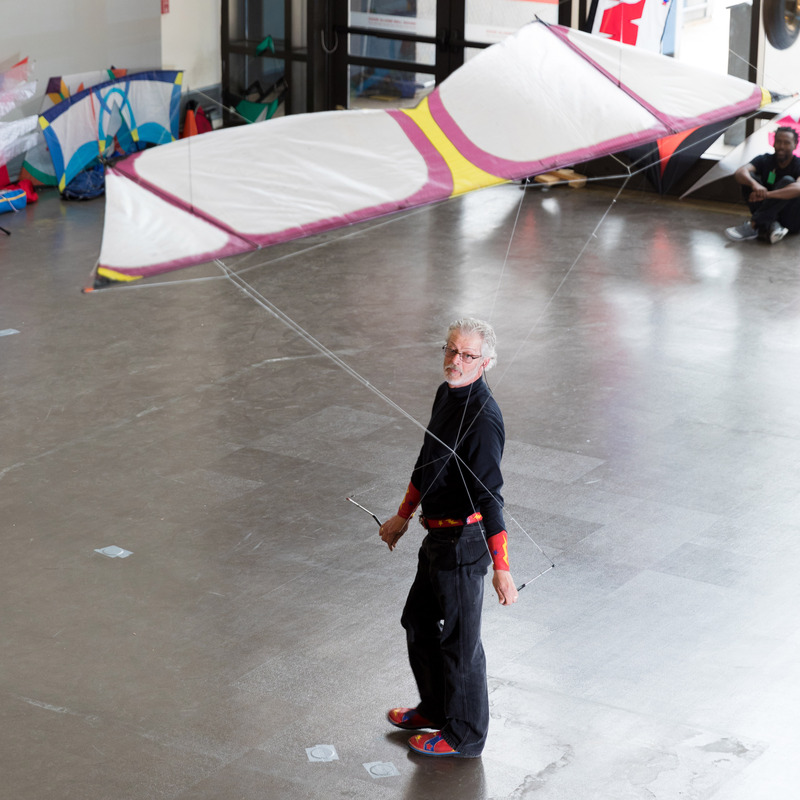 There are many kites that fly well but that’s only the beginning. Kites can be enormous displays of beautiful artwork that fly like a dream. 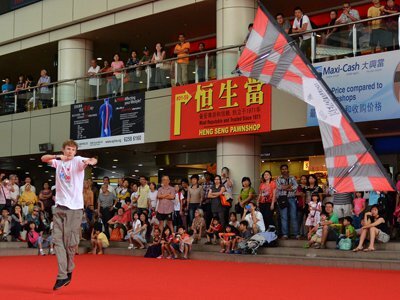 The combination of kite styles, colors, tails, designs, and patterns is unlimited. 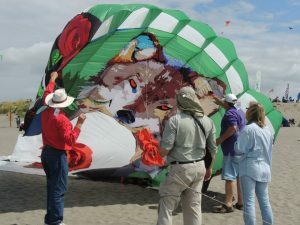 With 50 to 100 kite fliers from a dozen countries. These festivals offer a long schedule of activities that can last from three to five days and frequently include activities such as Bol races, bubbles, Japanese Rokkaku battles, ground displays, and Candy Drops or “Bon-bon Showers” as they’re called in Canada.